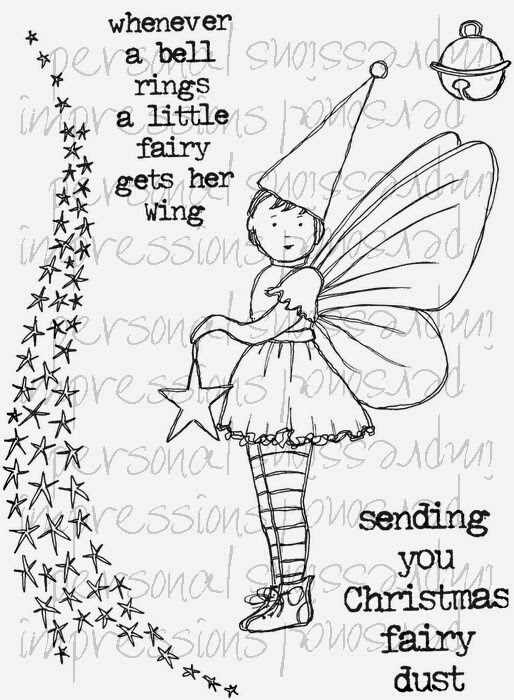 Lindsay Mason: A peek at new Christmas stamps! Morning everyone, I'm just having a quick coffee break and, as the images of my new stamps are now available to see on the Personal Impressions website, I thought I'd just take a few minutes to share a few with you. You can see the whole collection by clicking here, although there are a couple more still to be added later today. ....first up is "Little Fairy" CICSA6332. She's a pretty sturdy little thing with her boots and stripey tights! She has a nice stream of starry sprinkles to waft around the place though. 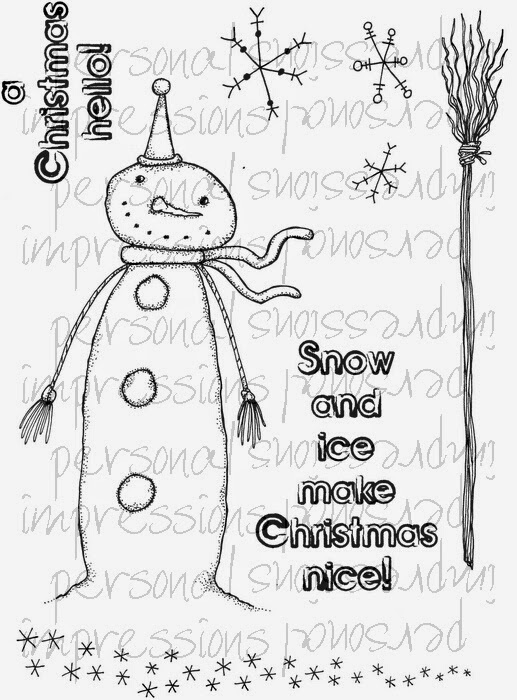 ....he's called "Stringy Snowman" CICSA6337 and he's in the Doo Lally Pip range. I'll be stamping him directly onto my backgrounds and then stamping him again so I can cut out his head and body to layer over the top....no cutting round stringy arms for me! A set of quotes now, these ones being "Inspirational Quotes Greetings" CICSA6341. If, like me, when you make quirky, cute, or just non religious Christmas cards you still like to have the option of some words that allude to the real meaning of Christmas in some way, then I hope these will fit the bill. Another thing that I like to feature in my stamps are owls! So I decided to create some festive ones along with their very own icicle strewn branch. They all different characters, from the rather bewildered one on the top right to Mr Grumpy on the left! Sorry about the appalling puns though....another of my favourite things! This set is "Merry Christmas to Whoo" CICSA6323. Another fairy now, or at least someone who wants to be a fairy! 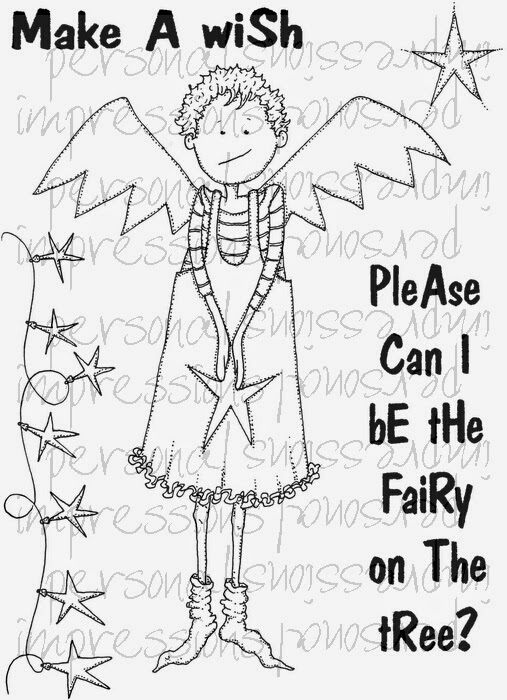 She is another in my Doo Lally Pip range and is "DLP Tree Fairy" CICSA6330. Her socks look pretty much like mine usually do when I'm relaxing on a chilly evening! Of course, you can always clip off her wings (ouch!) when she's not wanted as a fairy...and use the wings elsewhere needless to say. 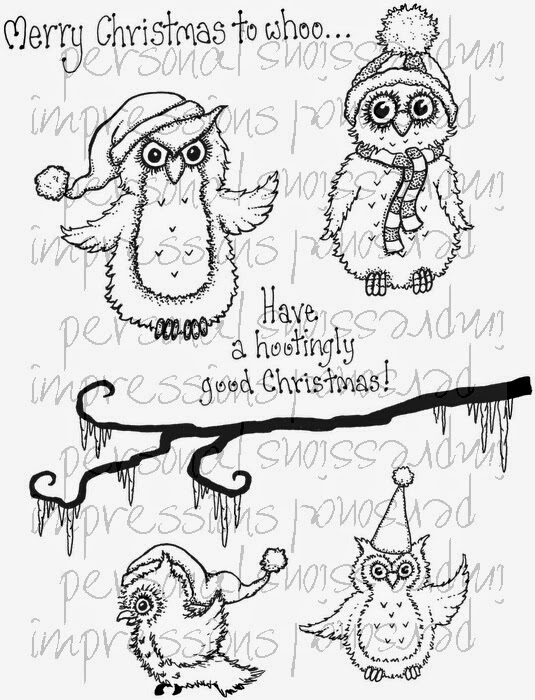 To finish this first peep, here are three of the seasonal designs from my Zendoodle range. As with the first collection, there are "plain" sets and "ready to go" versions of the same designs. 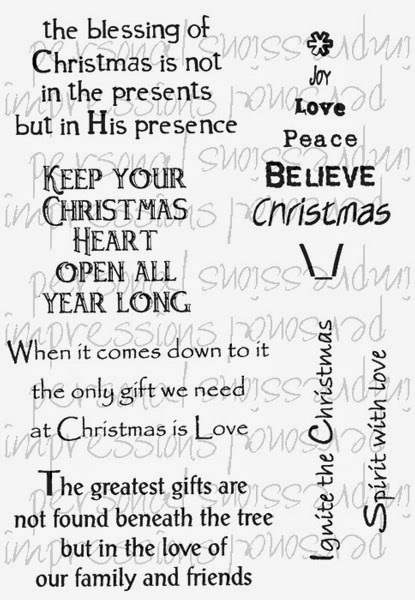 There are twelve new Christmas designs, so that amounts to twenty four in total...are you keeping up with me here?!? I'll just show you three of the ready to go versions here, but if you prefer to do your own doodled infilling, then the plain versions are for you! 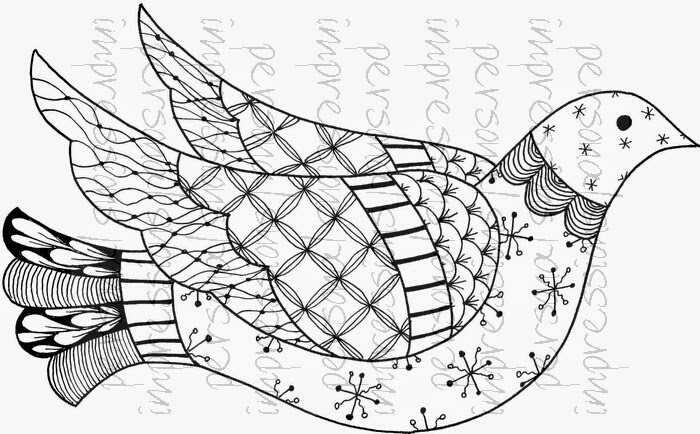 This is "Zendoodle Dove Ready to Go" CICSA6315. As with all the Zendoodle range, it's a good size to make a big impact on a card or to use in a frame as a decorative picture. 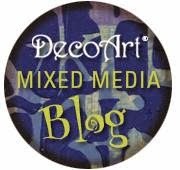 I'll definitely be making some decorations with this one as it's an easy one to cut out and decoupage of course. Rather than wild colouring on this one I'll probably choose just one or two tones of grey, lilac or blue and do some gentle shading. 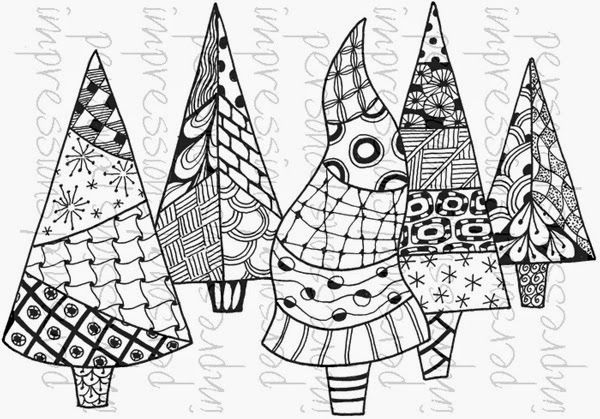 Trees next, and this set is "Zendoodle Trees RTG" CICSA6319. A row of highly decorative trees that can be used as they are or, of course, cut down into individual or smaller groups. I may have to restrain myself with my colouring on these or I might get carried away! Finally for now, this last stamp is "Zendoodle Angel RTG" CICSA6312.She's an Angel and she's Zendoodled and there you have it! Hope you enjoyed the first look at just some of the new sets. I was literally dreaming about doodling by the time I had finished all the Zendoodle designs! There are lots more sets in the collections so I'll share some more next time. Meanwhile, my break is over and I'd better get back to work! 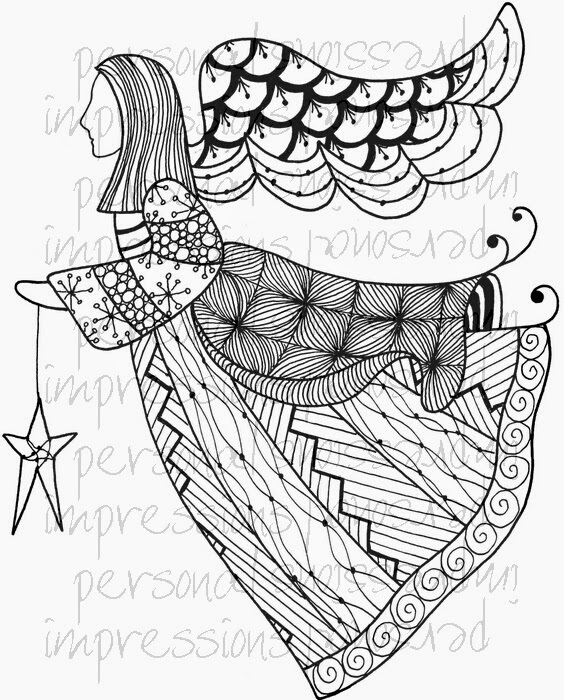 Love the zen doodle angel....great designs.